The United States' 5-2 win over Japan to capture its third Women's World Cup title drew 25.4 million viewers to Fox on Sunday night, according to Nielsen. UPDATE: That massive audience makes it the most-watched soccer game in U.S. history, surpassing the previous record set during last summer's men's World Cup. Viewership was up a whopping 89 percent from the final in 2011, which also featured the U.S. and Japan. Last summer's U.S.-Argentina men's group stage match drew 18.2 million, and the U.S. semifinal victory over Germany Tuesday drew 8.4 million, by comparison. 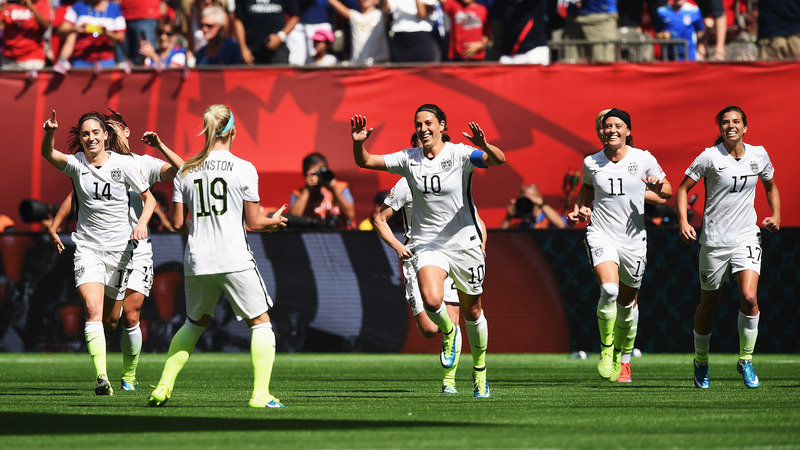 The previous mark for a women's game was set during the 1999 final between the U.S. and China (17.3 million). That was also the last time the U.S. won the World Cup. On Telemundo, the Spanish-language broadcast drew 1.27 million viewers, nearly double the 2011 final, which aired on Univision.